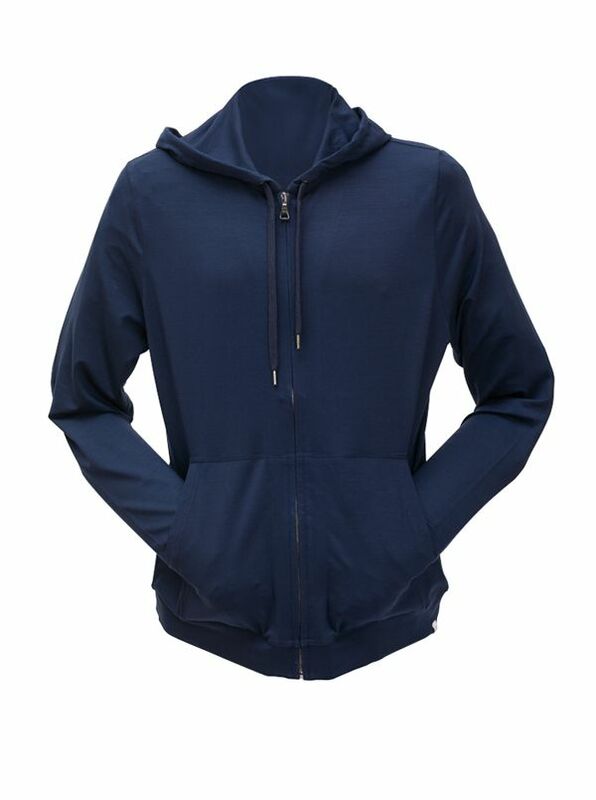 Derek Rose Modal Zip Hoody with front pockets, drawstring hood. Great for the gym, jogging, or just spectating. 95% micro modal/5% Lycra.